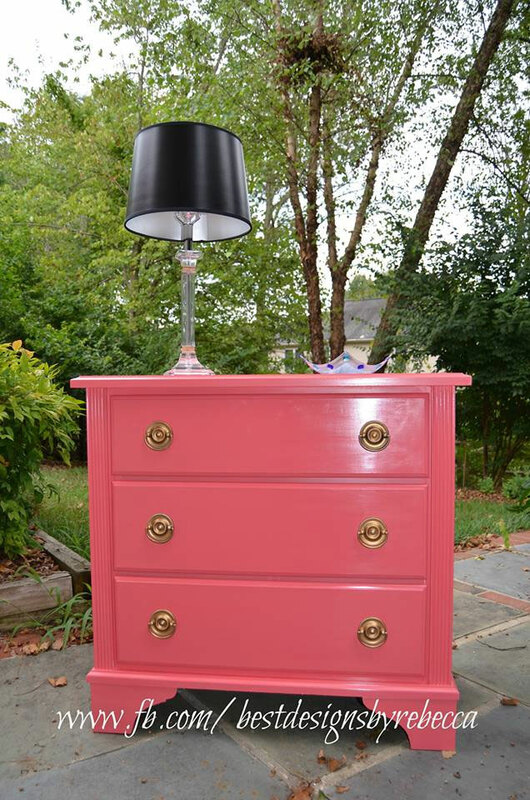 This dresser by Rebecca Fanady McGill of Best Designs by Rebecca is exploding with color! She explains, "I used Coral Crush on the entire piece, then 3 coats of High Performance Topcoat and wax on the body. I also refinished the hardware using gilding wax."